Gerard Butler has a new film out on Friday so this week in Scottish Entertainment and Actor News is fairly Gerry heavy. Saba also has news on Ewan McGregor’s new film ‘Beginners’, Kevin McKidd’s Grey’s Anatomy spoilers and David Tenant in a remake of ‘Burke and Hare’. 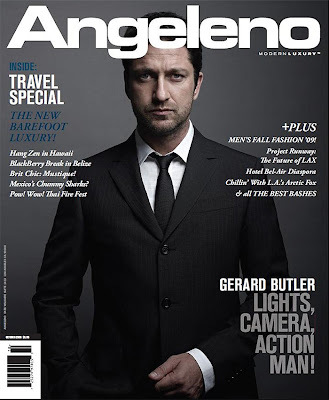 Gerard is on the cover of Angeleno magazine this month. The online issue of Angeleno is here. In addition to the photos you can also read the interview with Gerard on page 78. You can also check out 10 photos of Gerry from Friday in Beverly Hills over at Just Jared. 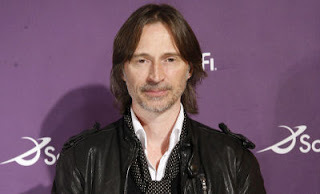 Stargate Universe premiered with SyFy’s best franchise season premiere performance in four years, since season 2 of Stargate Atlantis, with 2.3 million viewers. Among Adults 18-49, the 1.12 million viewers is the best performance for a Friday series premiere since Battlestar Galactica debuted on 1/14/05. Stargate Universe’s 2.3 million total viewers surpassed the 2.1 million total viewers that watched Dollhouse on Fox. If you missed it you can watch it for free over at iTunes or at Syfy. It only works for people in the US, but the show premiered in the UK on October 6th and in Australia on October 9th. 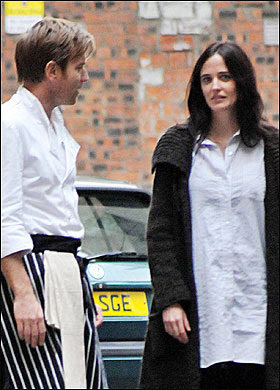 First, you can watch video of Ewan McGregor on the Glasgow set of The Last Word from yesterday’s shoot. Just head on over here to check it out. There is also footage of the rehearsal here. There is also news that Ewan and his uncle Denis Lawson will finally appear on the big screen together in The Last Word. You may remember that his uncle was the one who inspired Ewan to become an actor after watching him in Star Wars as a child. Denis Lawson played X pilot Wedge Antilles in the original Star Wars movies. In The Last Word, they’ll play a chef and a restaurant owner. Ewan McGregor & Christopher Plummer to star in Mike Mills’ next feature “Beginners” filming next month in L.A.
Not much has been revealed by way of plot yet. 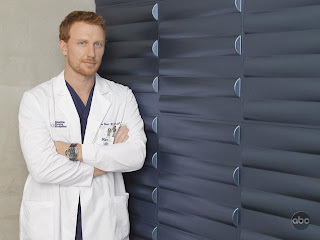 Kevin McKidd Online points us to this interview with Kevin McKidd. He talks about what it was like to be a new cast member and gives some plot details. You can read the entire interview here. David Tennant has been cast alongside Simon Pegg in Burke and Hare. The film’s director John Landis made the announcement over the weekend at the Spooky Empire convention in Orlando, Florida. Burke and Hare focuses on William Burke and William Hare, a pair of serial killers who sold the corpses of their victims to the Edinburgh Medical College in the late 1820s. David will play William Hare. Ewan McGregor had once been rumored to be attached to the film, which is a remake of sorts, but it looks like it will finally get made. Gerard Butler has now also been added to the Friday, October 16 lineup for The Bonnie Hunt Show. 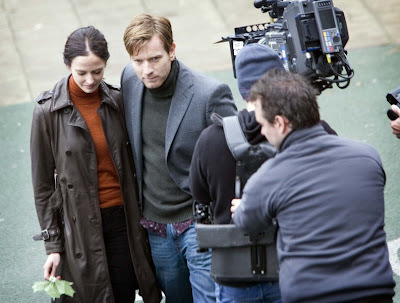  Archived in Film, Scottish Entertainment / Actor News and tagged David Tennant, Ewan McGregor, Gerard Butler, Kevin McKidd, Robert Carlyle, Scotland, Scottish, Scottish Entertainment / Actor News, video. Bookmark the permalink.